Looking for wholesalers for materials, supplies, or the product(s) you plan to sell? Here's how to find wholesalers for your business. 1) Try different search terms, such as supplier, wholesaler, distributor, etc. 2) Save yourself time by doing a search for suppliers of a specific type. For example, search for "swimsuit wholesalers" rather than just "wholesalers" if that's the product you're looking for. 3) Use web portals and/or wholesale directories. Every industry has a corresponding NAICS code, which may make the manufacturers or suppliers of your product easier to find. 5) Work your social web. A query in a LinkedIn group you belong to, a tweet or a Facebook post will at least let your social network know that you're looking and may lead directly to the wholesaler you're looking for. Getting access to inside information is one of the advantages of belonging to an industry-related association. And in some industries, things such as wholesalers of common products are common knowledge. Don't overlook industry association websites as a resource. This American National Association of Wholesaler-Distributors Member Association List links to the websites of many different industry associations and may be a good starting point for you. Dental Practice Management News. Auto Dealer Monthly Magazine. Florists' Review Magazine. Just three examples of publications that are devoted to particular industries - and can be great sources of information on where to source the product(s) you’re looking for. To find magazines for your industry, type "magazines for (your business type or profession)" into your browser’s search box. There's a trade show for almost every retail business – and often, more than one every year. Home and garden shows abound, for example, and often showcase products that are available through wholesale or distributor agreements for resale. Your local business associations often have resources to offer such as lists of wholesalers. And the other business people you meet through meetings and business-related social functions such as meet-and-greets are great sources of leads. While networking, let the people you meet know what you're looking for. They'll keep it in mind and be on the hunt for you. If you live in a city, there's a chance that there are some local manufacturers of the product you're looking for. Searching for "manufacturer (the products) (your city)" online or checking the yellow pages can't hurt. 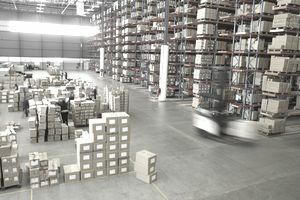 Through the web, through your connections, through industry sources – you will probably need to do some legwork and search for the wholesalers you need. Your competitors are not likely to tell you who theirs are or want to share them with you. Finding wholesalers tends to be a process rather than a one-search event for most new small businesses. So don’t give up if you can’t find the supplier you're looking for right away. After all, perseverance is one of the hallmarks of success.